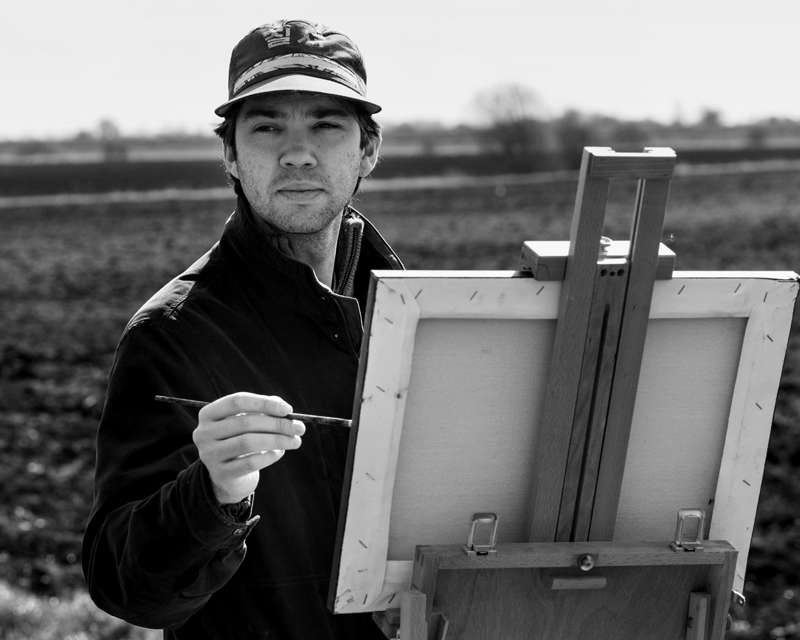 As a full-time independent Artist based in West Deeping, Lincolnshire, my body of work consists of oil paintings featuring solely the Fenland Landscape. 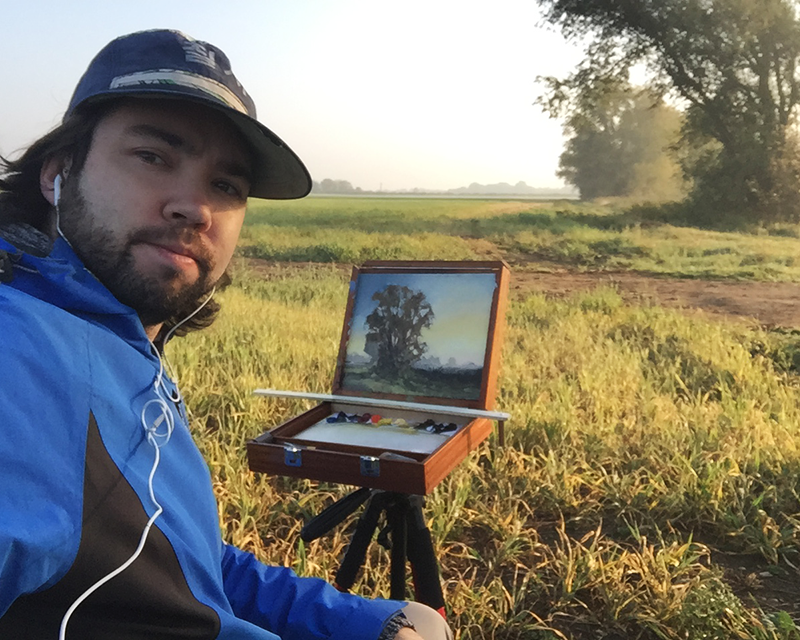 I generate new paintings each year, either en plein air (painted outdoors) or in the studio. These are exhibited and sold through a variety of solo and group exhibitions. I also take on landscape based commissions. My inspiration is derived from a love of works in the traditions of impressionism and romanticism, alongside the works of more modern painters such as Edward Hopper. My passion is driven by a spiritual love of nature and art. I have sold over 50 original works to private collections both in the UK and abroad and I produce a range of collectable limited and open edition prints. The Fenland landscape; an agricultural flatland which covers Lincolnshire, Cambridgeshire and Norfolk, offers me an ever-changing muse to work from. From season to season crops come in and out of colour and create new contrasts against the skies of billowing clouds. The winter months offer bleak and frozen scenes that make you feel cosy inside. 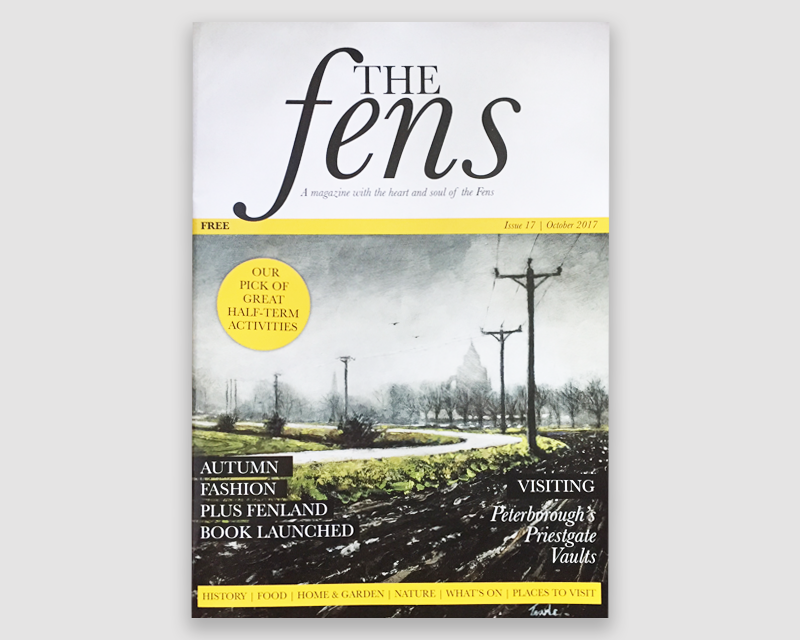 Being close to (if not lower than) sea level in most areas, the Fens offer a stunning view of sunsets and distant farm buildings isolated on the horizon. It is the kind of landscape in which you are exposed to the elements and humbled by its vast endlessness. 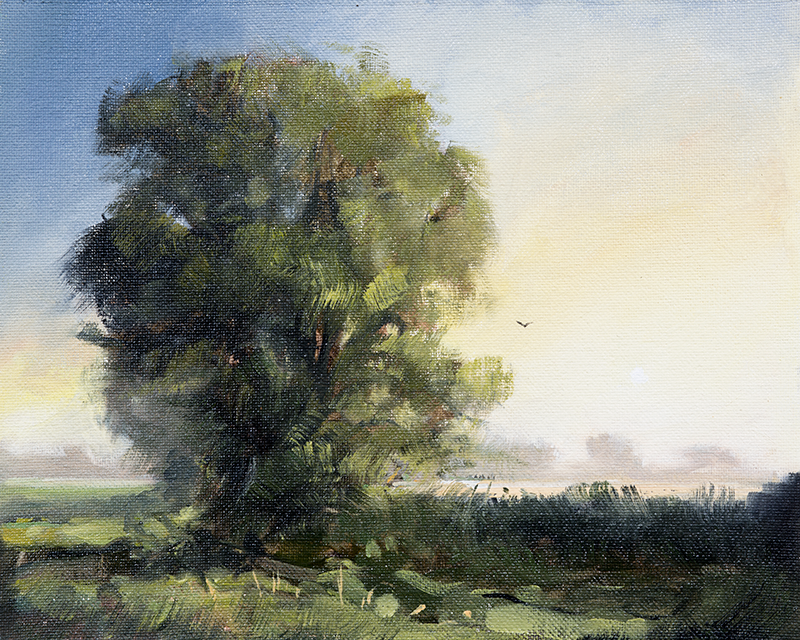 Despite growing up in the Fens, it wasn’t until 2015, after living in tropical South East Asia for some time, that I began to paint the landscape. Turning my attention from corporate graphic design to oil painting I was longing for the romance of painting outdoors. Whilst I did attend art college to study its history and application, it was the early guidance of my Father that was most influential to my capabilities in drawing. 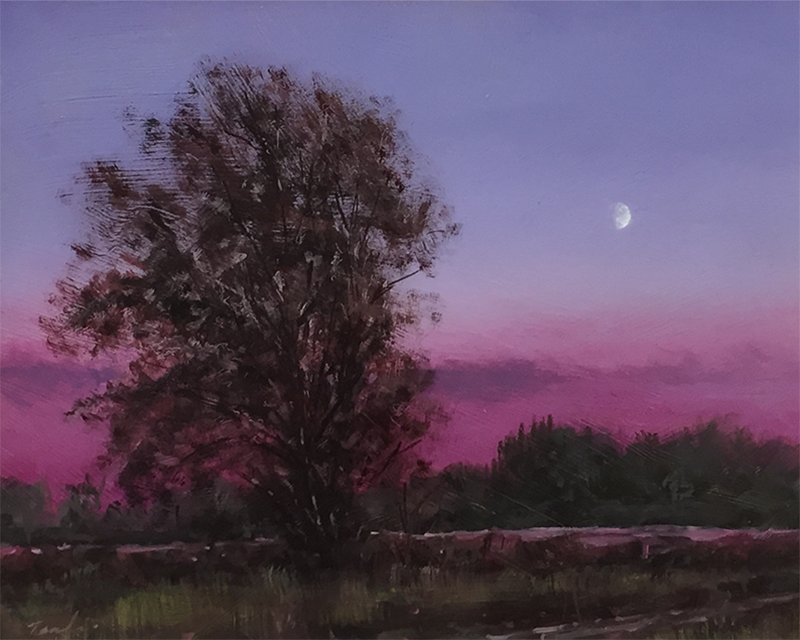 Having taught myself to paint landscapes in oil, it gives me tremendous satisfaction to say that the body of work I have produced so far has experienced an overwhelmingly positive reception by local people. Many, if not all, of my original works of art have found new homes in Fenland houses similar to those in the scenes themselves. 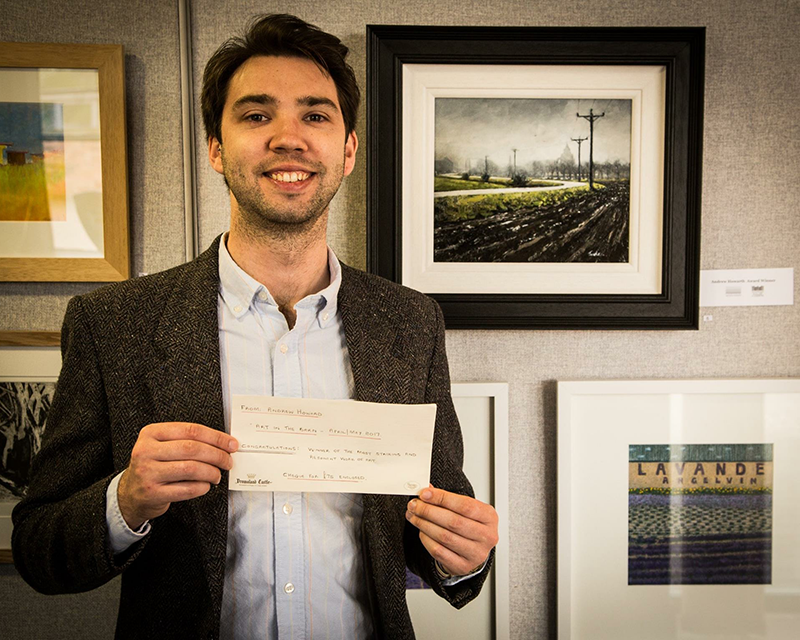 I am an exhibiting member of both the Lincolnshire Artists’ Society and the Welland Valley Art Society and lucky enough to be the winner of both the 2017 Andrew Howarth Award, and the 2018, Autumn Exhibition People’s Choice Award. My work has been featured the covers several local magazines. 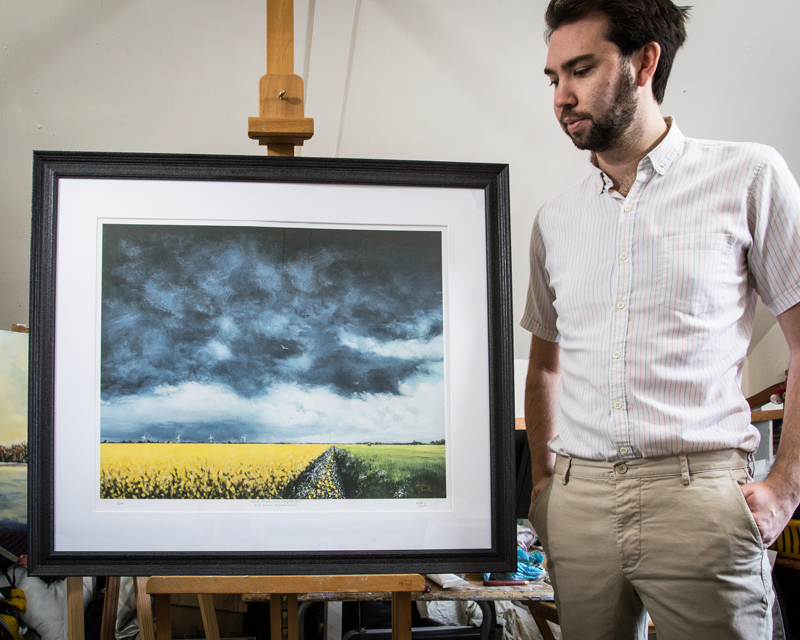 When I’m not painting, I run Fenland Frames – a local picture framing studio.